Warm holiday wishes from the Rogers-Scott family to all. 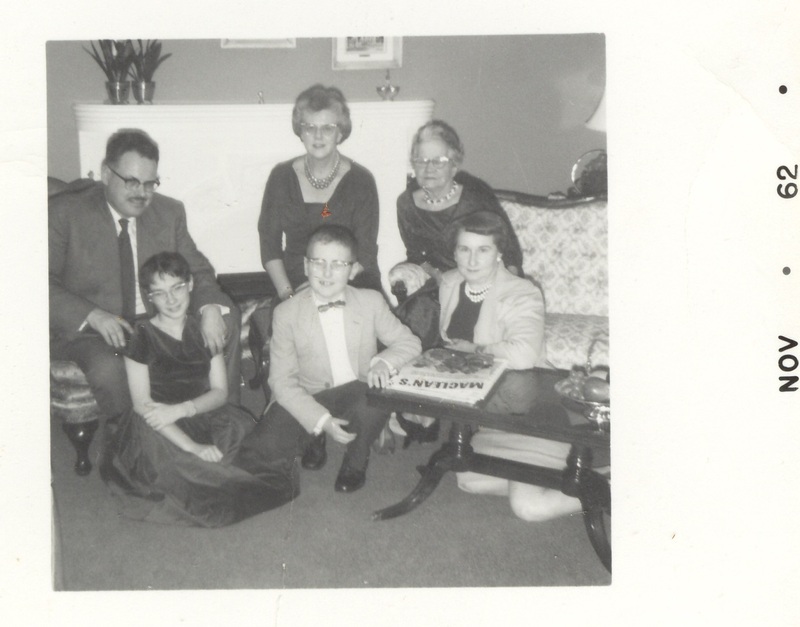 Family photograph, 1962, Vancouver, BC. George and Muriel (Scott) Rogers, Amy (Irwin) Scott, Diane and Dave Rogers, and family friend, Marg Hyslop.